So, Four Possible Routes to Market – but which one will be right for you? 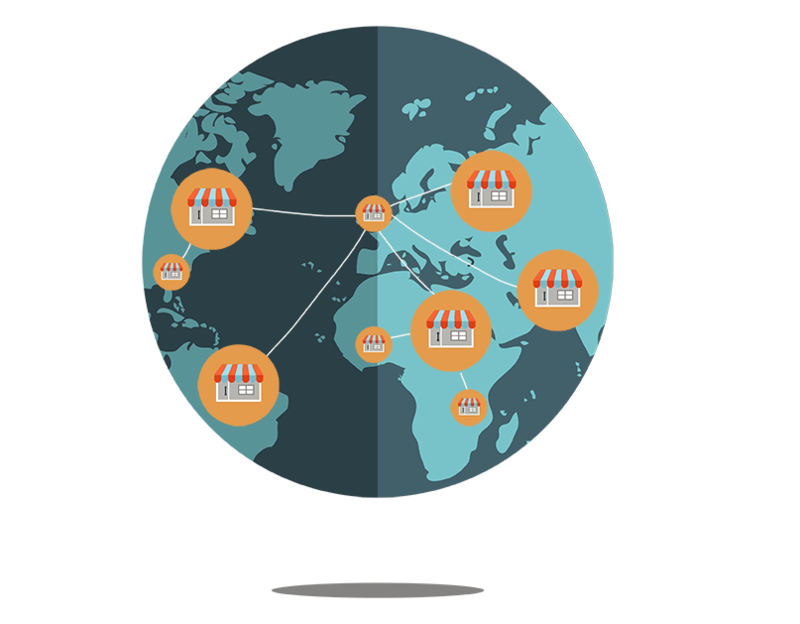 International expansion without franchising requires considerable resources. Some businesses will require far more resources than others, but either way, it is a huge undertaking that requires serious investment, and which can include hidden costs in the form of management time and distractions from your core business. However, using a franchise model, you actually get paid to expand into a new market. Master Franchisees or Area Developers will pay you for the right to use your brand and operating system in their territory. In addition, there are few surprises or hidden costs because your business model is now that of a franchisor and your only task is to train and support your master franchisee or area developers. It is your franchisee that must deal with the variables involved in setting up a clone of your business in their market. What value can you put on local knowledge? Well, in Tesco’s case that would be tens of millions of pounds, following their unsuccessful attempt at breaking into the US market. Why did they fail where Wallmart succeeds? And many US firms have also failed to conquer the UK, because they did not fully understand or adapt their proposition to the UK market. When expanding into a new international market, it is hard to put a high enough value on having someone with a vested interest in the business working with you, who has local knowledge about the sector, culture, business and legal framework. An obvious point, but if you are targeting countries where English isn’t the first language, it is far easier to recruit a master franchisee that speaks English, than to have the already large challenges of setting up a new business overseas made greater by language difficulties. Whether appointing a master franchisee to recruit unit franchisees, a regional developer with unit opening targets, direct franchisees or any of the other structures available, fast growth is a realistic goal. And this can be multiplied across several markets at the same time as Subway have shown by rapidly overtaking McDonalds as the world’s largest Quick Service Restaurant. There is the obvious point to make here, that rapid growth, revenues and profits through international franchising will increase the value of your business. However, there is another consideration: once you have franchised successfully in one other country, you have demonstrated that your business is scalable on an international level with implications for future growth potential and therefore, the value of your business. But what route to market will you choose? This is where our experienced team of International Franchise Consultants and their Associates in over 60 countries worldwide can play their part. We can advise you on the best route to market and in which territories you are most likely to be successful and why.